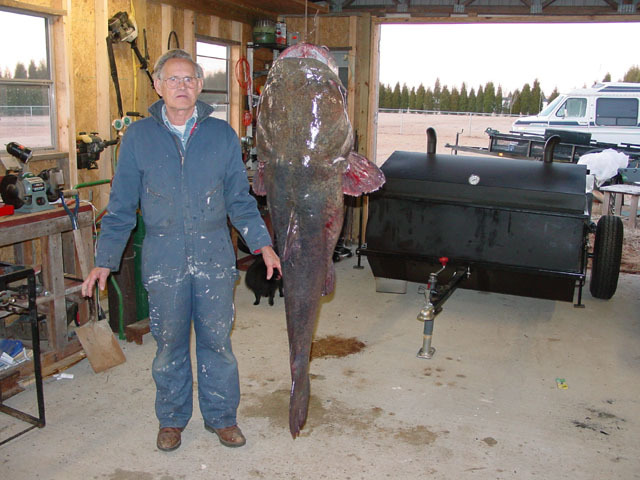 You have all heard the stories of scuba divers seeing monster catfish down by the locks. This fish should add some truth to those stories. This flathead was recently caught in the Santee Cooper lakes (near Jack's Creek landing) by Tom Frederick and Carroll Burr on a trotline. Someday a fisherman will bring one like this in with a rod and reel. Why not you?